How Does It Feel to Be 107, Grandma? My grandmother was born today, in 1907. Or sometime around this date. One of her stories is that she never had a birth certificate. Born into a large family, and with her Mom passing away when grandma was a child, there was no official birth record. At some time later, she was able to prove her approximate birth according to notes in the Census taker. She so more or less picked October 15 to be her birthday. That is just like her. I teased her that I wanted her to live at least until 100. She came close, 96. That photo above was on a visit to Baltimore in 1994, when I recorded an hour of her telling me stories of her life, recorded on a micro-cassette. I later digitized it, and made a short video from the first segment. 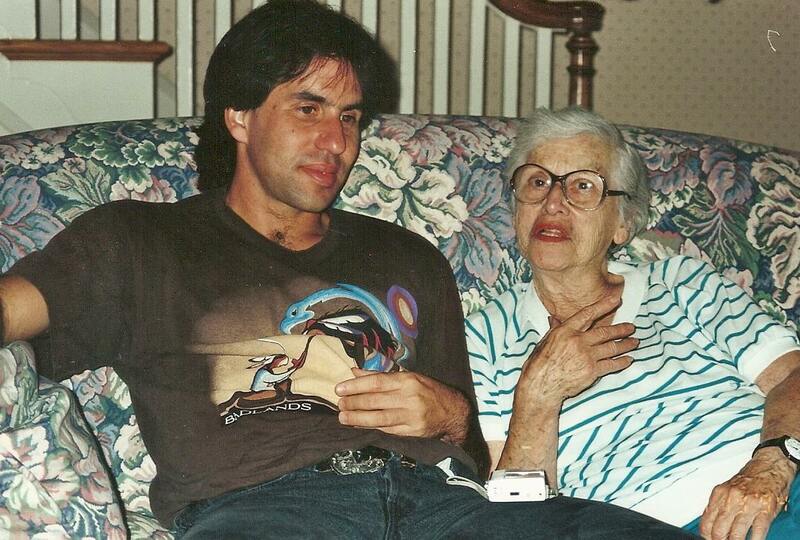 I always remember her telling me a story about learning to drive a Model A Ford. In this clip, she talks about how they got the car (it had to be the late 1920s if my Dad was a baby), Essentially, she and her husband won all the money in a poker game, $25. On their way home, they saw a car on the street with a “For Sale, $25” sign, and they bought it. A lot of my family stories are about how stubborn she was, and she did seem to be at the center of family tension. I never saw any of this, she totally treated me like a prince. I remember her taking me to see a Baltimore Colts game in the early 1970s. I remember going for rides in her red Rambler. I remember her swimming out far from the beach with me in Ocean City, to float the waves. I remember her arguing with her sister about Scrabble. There really was no one like her. 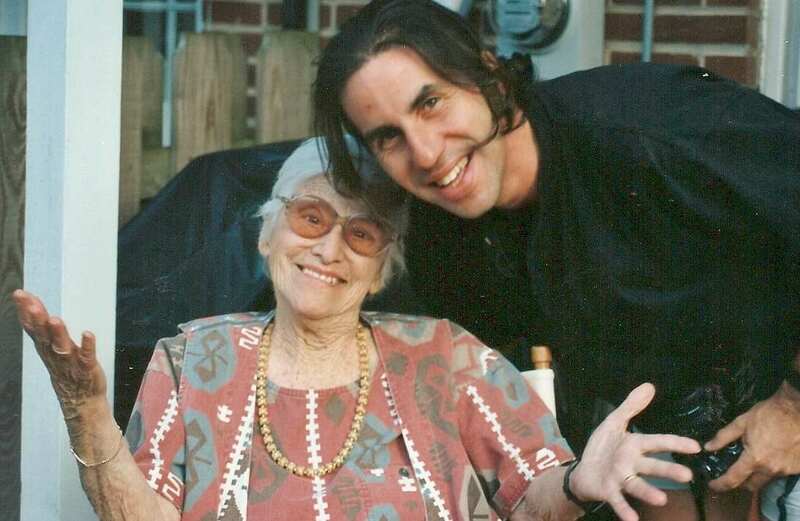 And I know at 107, she would have a sing song laugh about life. I can hear that laugh. Oh Alan! You made me laugh!! Stubborn is an understatement! She was one of a kind, our grandma! She was always right! I remember her swimming out in the ocean with her yellow bathing cap! We could watch her swim back and forth beyond the waves. There are so many grandma stories and yes, you were the little prince! You could do no wrong! She and I spent a lot of time together looking at old pictures. There is one memory that I will always remember, spending the night at her small apartment and trying on her jewelry with her telling me about each piece. I still wear her long pearls! Thanks for the birthday memories!! What can I say? Cute, cute, CUTE!